Another month and another jam-packed issue of Vegan Life Magazine. It was an especially good month for desserts, as in addition to the triple chocolate brownies on the cover, there was a stunning matcha mint cheesecake within. Isn't the green colour amazing? I always love the mix of news pieces with food-focused pieces, and was interested to read that Hackney Council (North East London) suspended plans for a fox cull after protests from the RSPCA and other animal rights groups. It was a nice reminder that people can make a difference if they stand up for things they think important. I know foxes cause problems, but since moving to the UK I have come to love their silent beauty (they aren't common in Australia) and would hate to think of them being killed off. 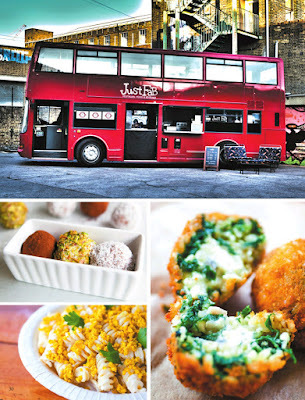 Also in East London is the Just Fab double decker bus serving vegan and vegetarian Italian food. I hadn't heard of it before but it looks like a very fun place to eat a meal. 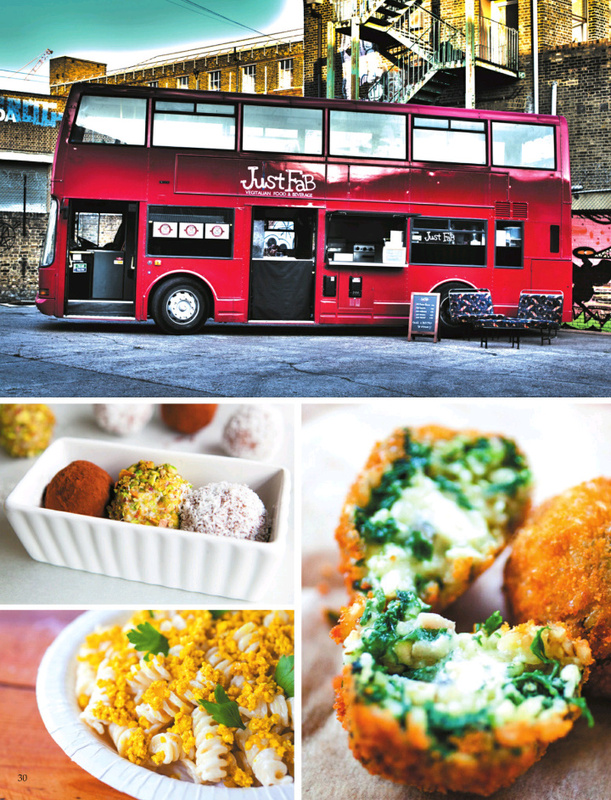 They serve dishes like vegan lasagne and vegan tiramisu. 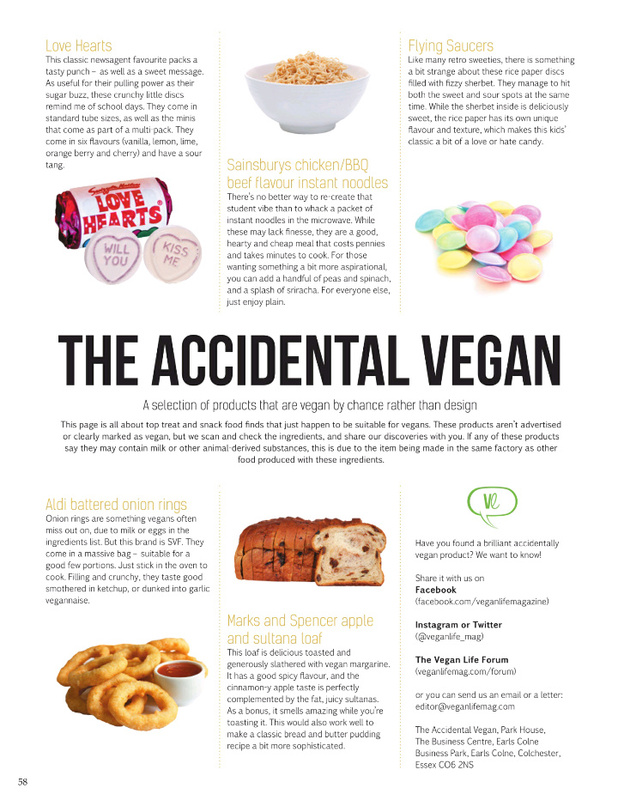 I always love the 'Accidental Vegan' features, which tell of products that aren't vegan branded but are vegan nonetheless. I already knew about the M&S apple and sultana loaf, and can recommend it! 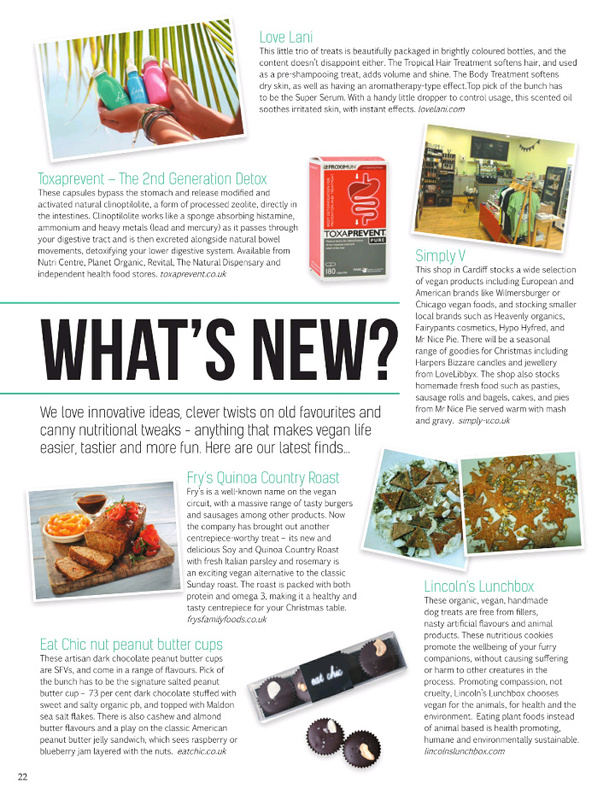 Last but not least, given my history of trying to veganise yoghurt, I was interested to read a feature on that topic. I have given up my own homemade yoghurt efforts but may one day try again. 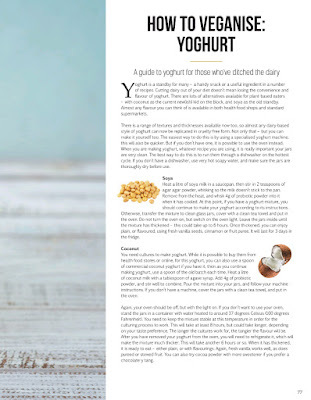 The feature advised using agar agar and probiotic powder for soya milk / soya yoghurt, and commercial coconut yoghurt to provide the cultures for coconut milk / coconut yoghurt. 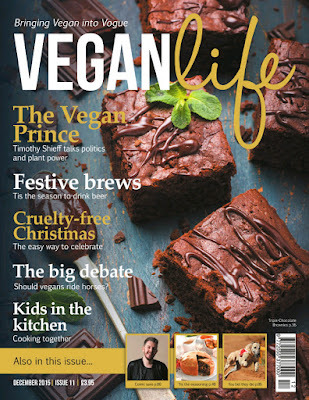 Whilst not part of the magazine per se, I was also delighted to arrive home recently to a new Vegan Life bag. I love the definition of veganism they have featured. 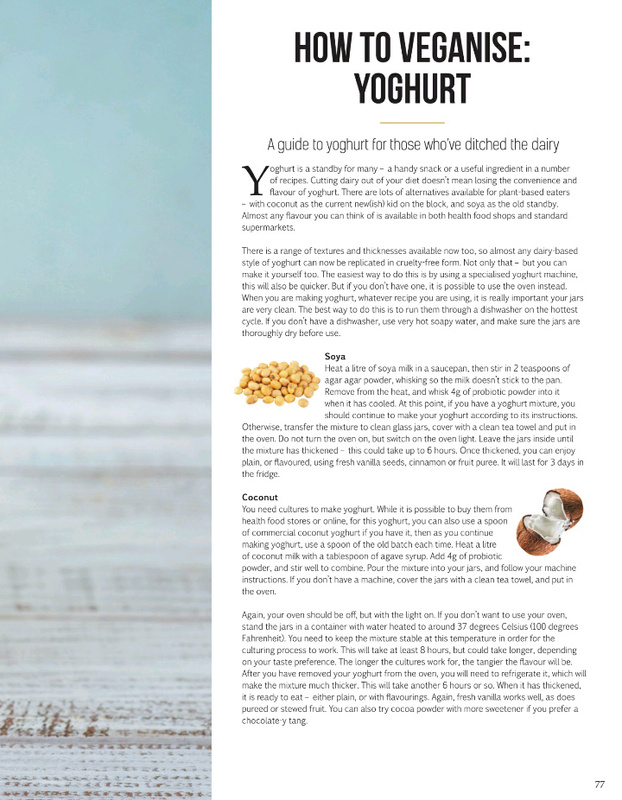 Do you have a homemade non-dairy yoghurt success story? The matcha mint cheesecake sounds intriguing. That matcha cheesecake looks stunning and I'd love to try the Fry's new loaf - will have to check out if it is in the Fry's section of our local supermarket. And I am sad to hear you haven't had much success with home made vegan yoghurt - I have tried a few commercial ones and not found any to love but I would love to find a vegan yoghurt. I have settled relatively happily with soya almond and soya coconut varieties, made by Alpro here. They don't have the characteristic tartness of plain dairy yoghurt but have a tartness and distinct flavour of their own. I would love to master a homemade one though. If you master it, please share! 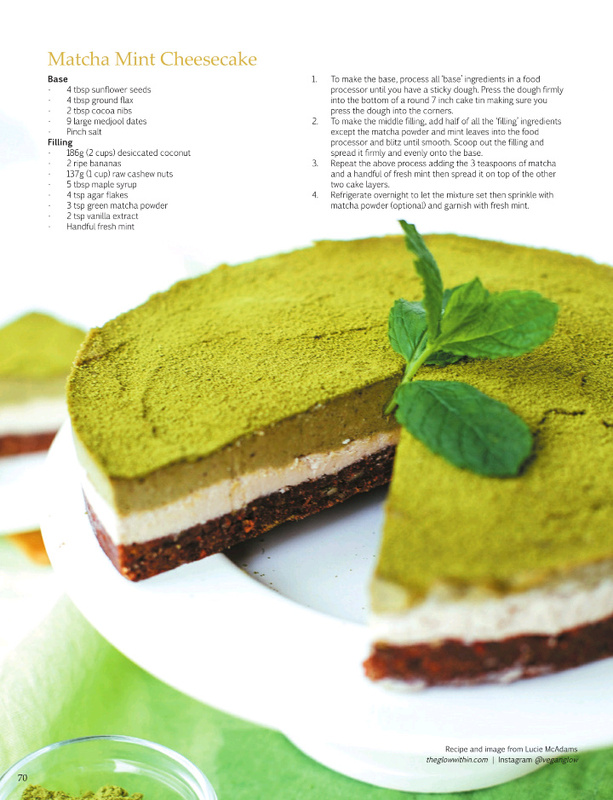 A red layer in the matcha cake is an excellent idea! This mag looks so good! 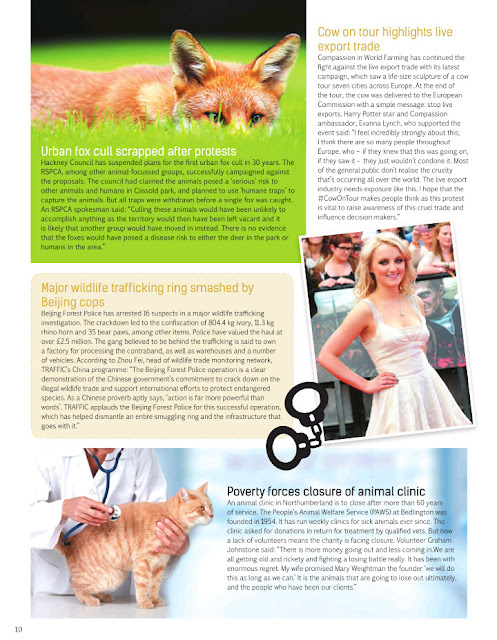 That's great news for the foxes of north London :D the guide for veganising yoghurt would also be useful to me - I used to make coconut yoghurt regularly but I need to brush up on my yoghurt making skills! That chocolate cake on the cover looks incredible. There is an Instagram account dedicated to things accidentally vegan. It is amazing how many things are vegan without even trying to be.